Failing the reverse Turing test. Many people are off-put by humans pretending to be bots. General intelligent assistants do not scale. The unit economics of brokering consumer-to-business messaging aren’t viable. Intelligent assistants are very useful and even magical. #1, #2, #3 contributed to the failure of the intelligent assistant this time around, but the user delight associated with #4 was undeniable. Is there a way we can play to the strengths of the Intelligent Assistant by adapting to a new domain? 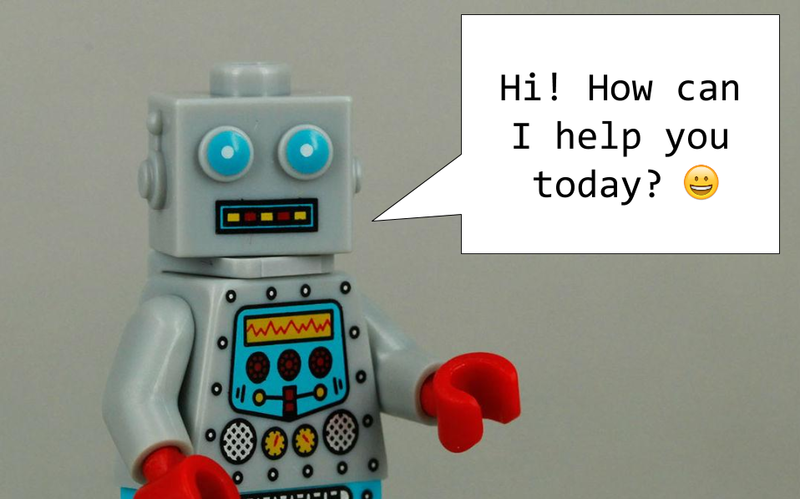 Other than canned responses or annoying IVRs, customer service is mostly human powered. There’s an opportunity to add bots to improve customer experience AND reduce costs at the same time. Humans still have the edge on a few things. 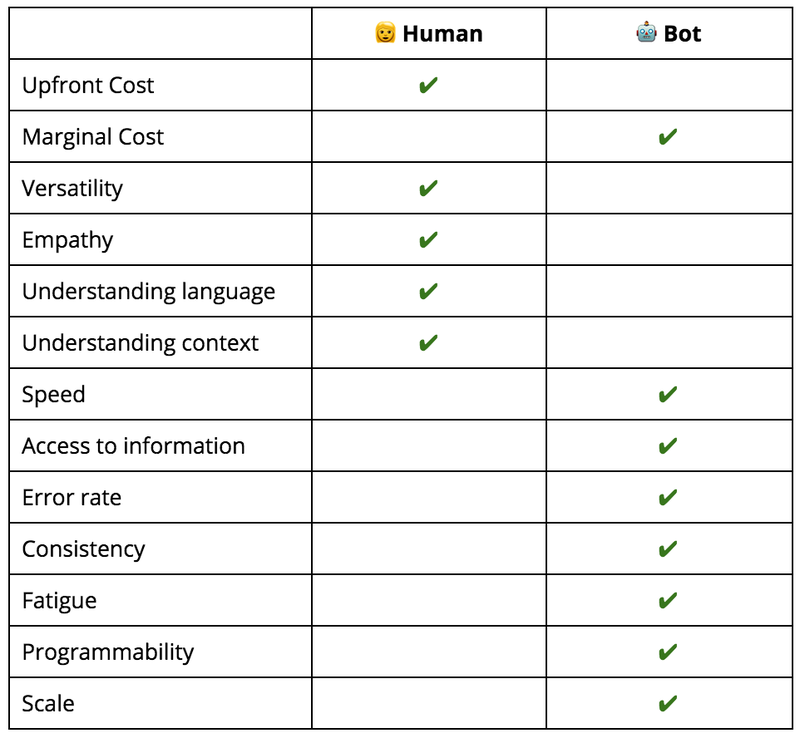 It may take some time for bots to overtake the versatility, empathy and nuance of their human counterpart, but there are some obvious short term benefits related to speed, power, scale and cost. By synthesizing humans and bots within chat, you can play to each of their strengths. Wit: hosts and trains the natural language understanding model that Meya uses to route customer intent. What the experience looks like on both sides. The Timecast Meya bot source code is available on Github if you want to take a peak at how the bot works under the hood and how to create the Front plugin. 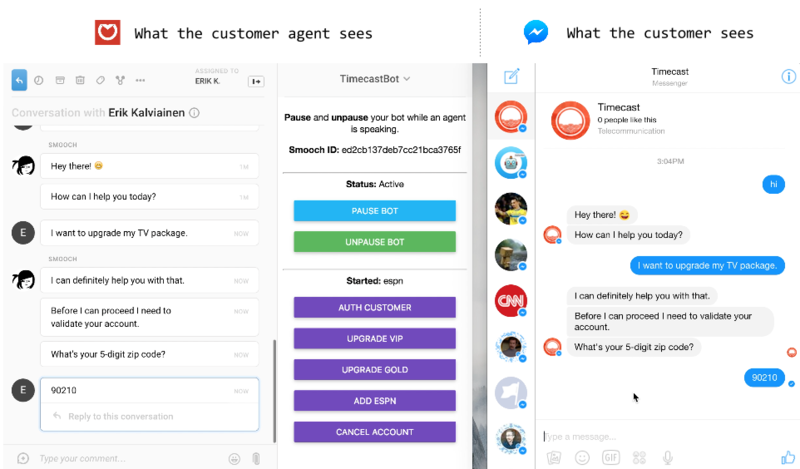 You can also try the Timecast demo bot out on Messenger. Special thanks to Hart and his team at Openfolio for collaborating and providing feedback related to this post. I make a bot building platform called Meya. Past: ProductWiki founder. Product @ Google. U of Waterloo Engineering.